Burlingame, August 19, 2017 - Labii attended the Seminar on FDA/CFDA Regulatory Affairs to present their ELN and LIMs to Tasly Pharmaceuticals. The seminar was host to several professionals and leading industry experts in the field of biopharmaceuticals. This event was held to bring together professionals and entrepreneurs in the health and life sciences industry to educate and give insight with current FDA/CFDA trends and regulations. 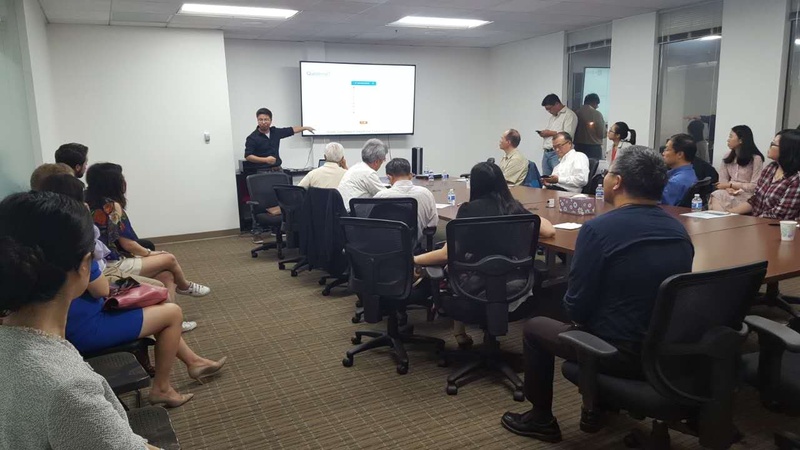 Seeking new innovative technology solutions we presented Labii to a captive audience of professionals, scientists and researchers and showcased the important features and benefits of using our ELN & LIMS software. We greatly appreciate the audience for being very interactive and appreciate all the constructive feedback. Your input is crucial to our success and we are grateful to have such a strong group of supporters. We hope that the attendees found great value and walked away with the knowledge that with better lab journaling methods, it is possible to keep track of important lab data that can greatly affect the productivity of experiments. We would like to thank CABS for having us and we look forward to meeting you all again in the near future.